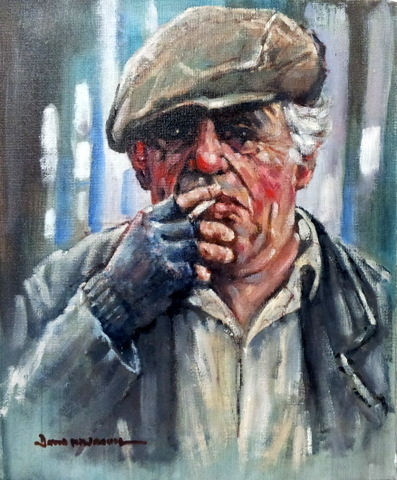 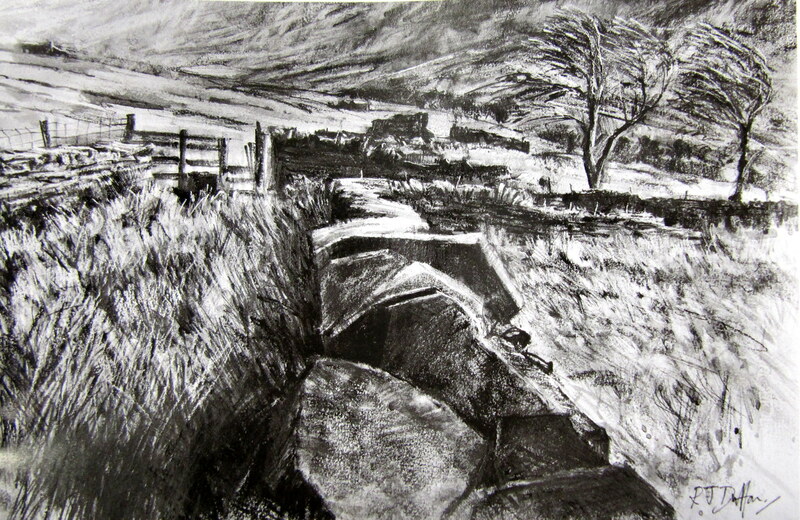 Les Darlow is an artist, tutor and demonstrator from Laycock near Keighley. 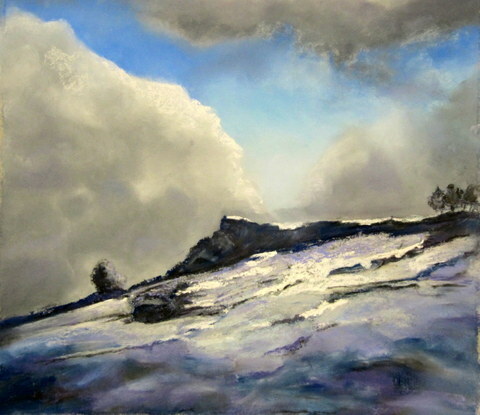 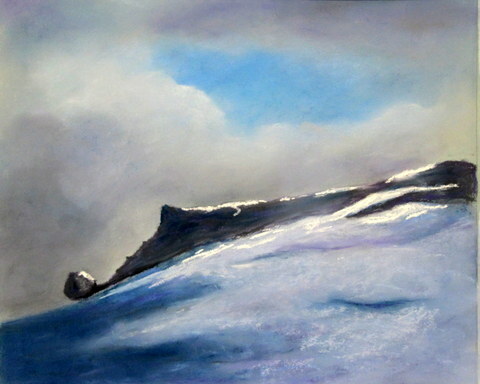 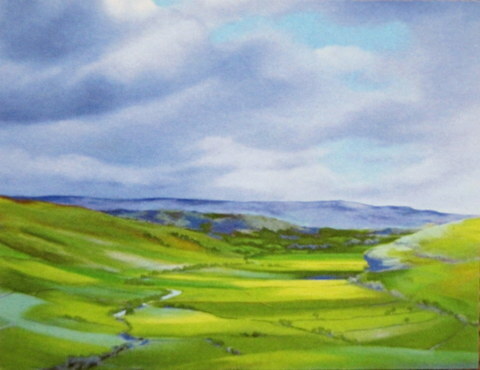 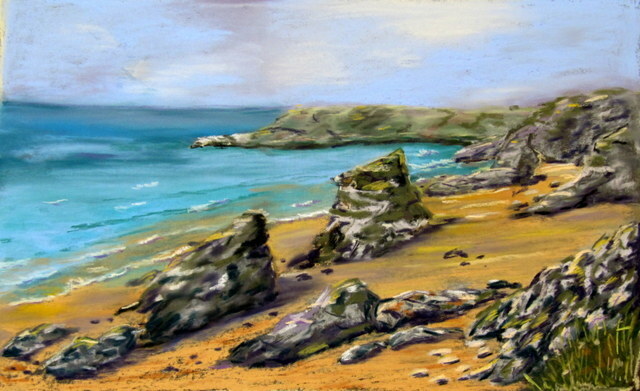 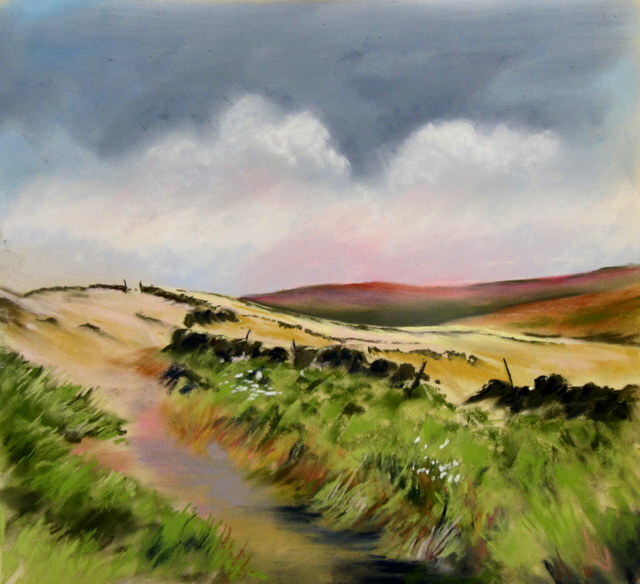 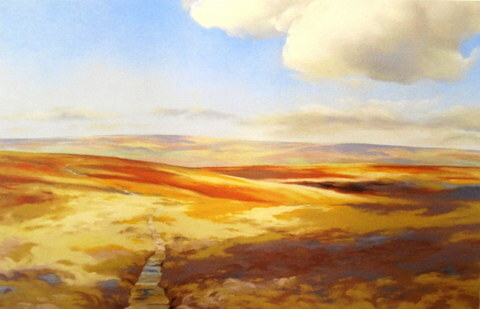 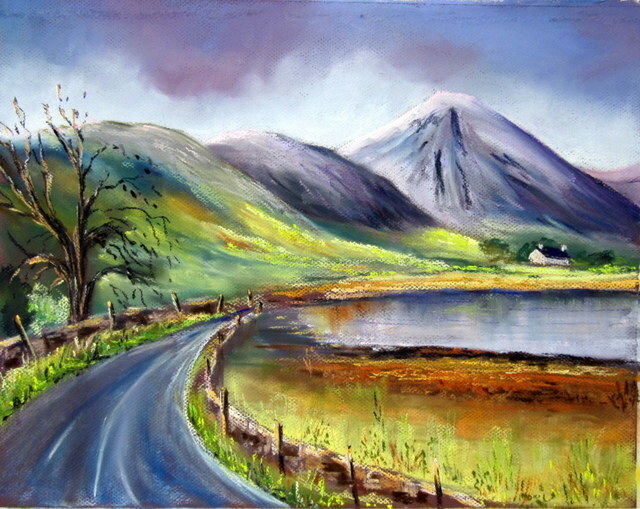 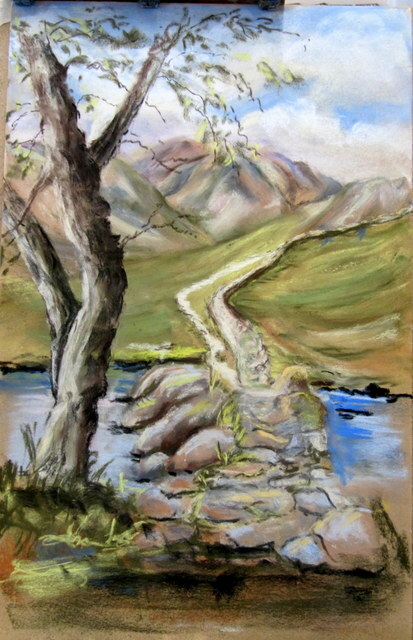 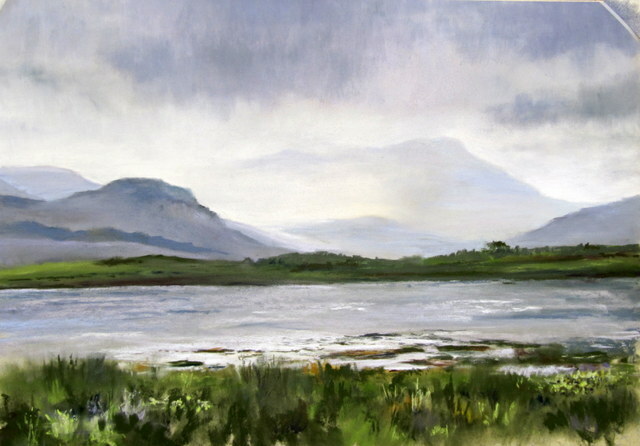 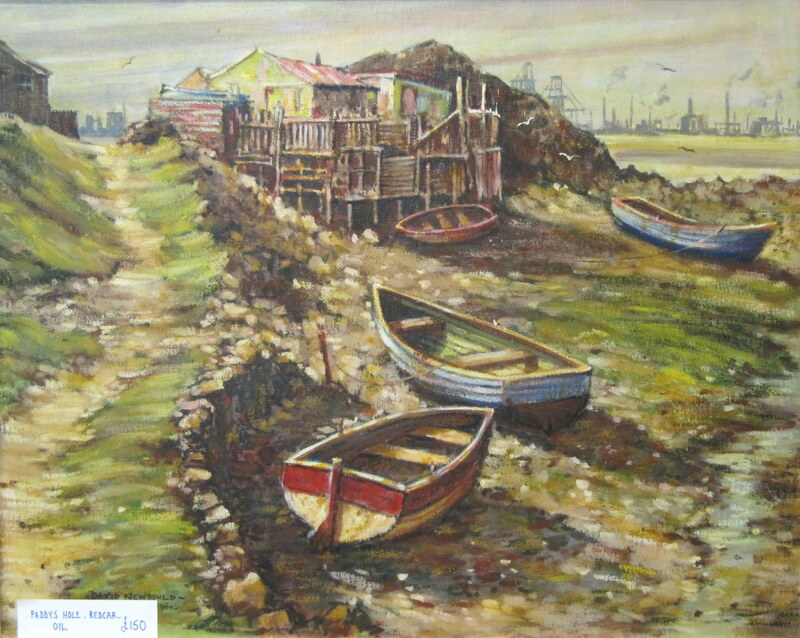 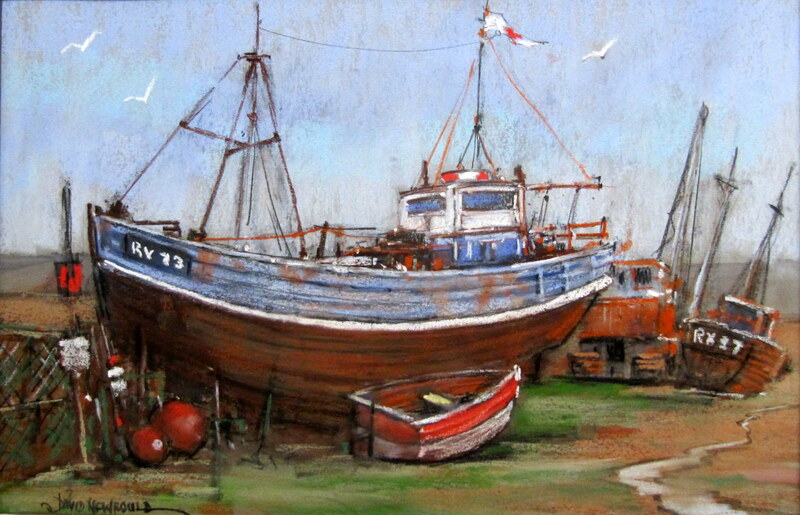 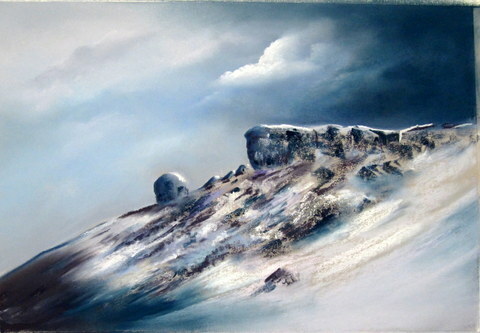 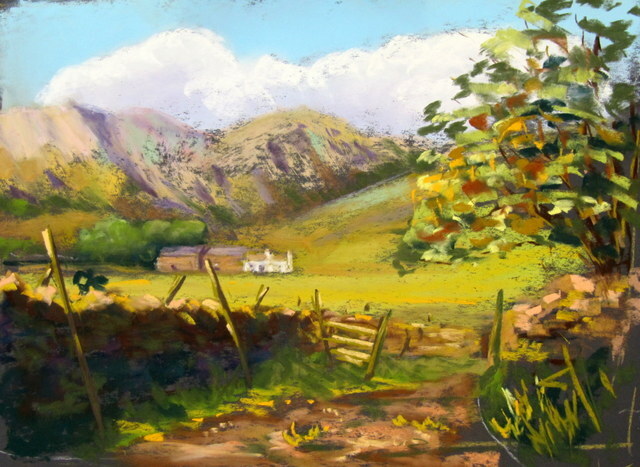 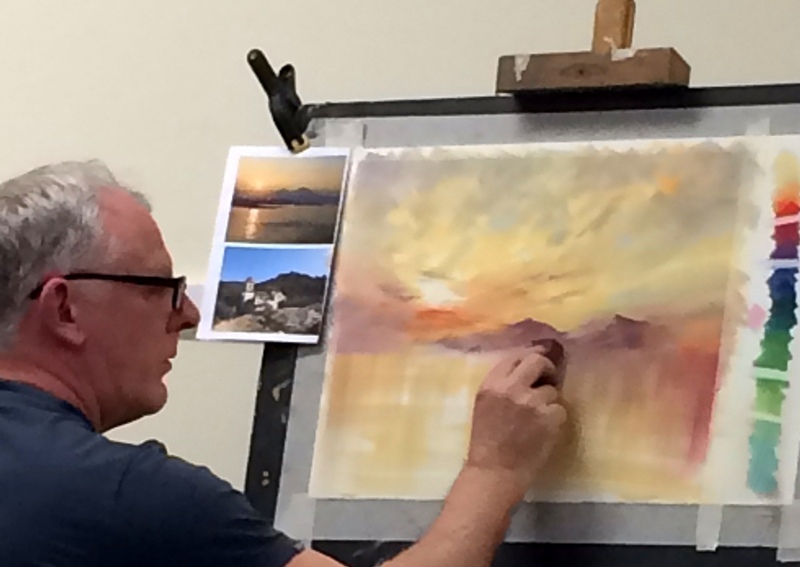 He specialises in pastel landscapes. 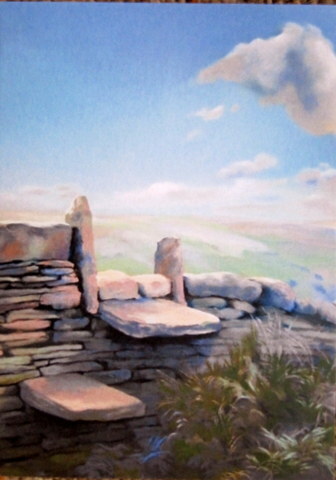 His paintings can be viewed on his website > www.lesdarlow.com/ . 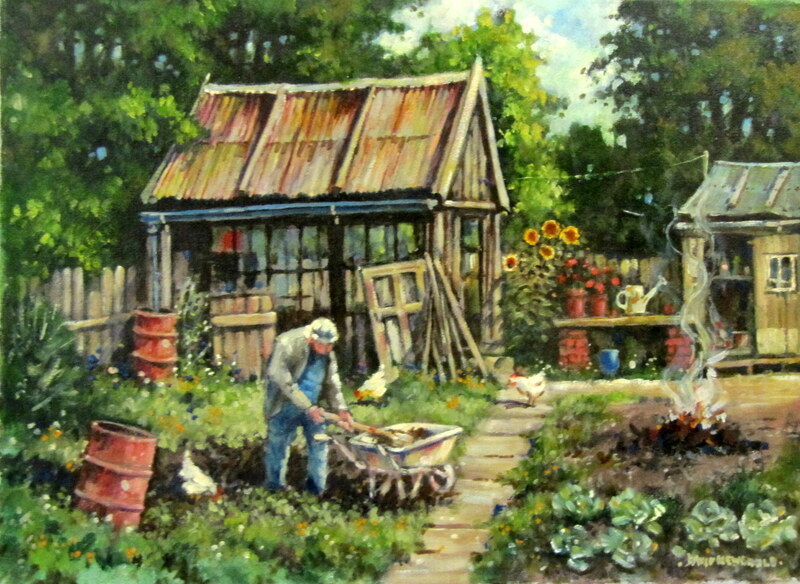 There are also links to youtube videos showing him working. 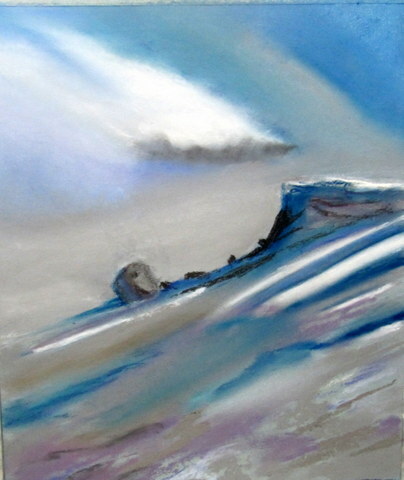 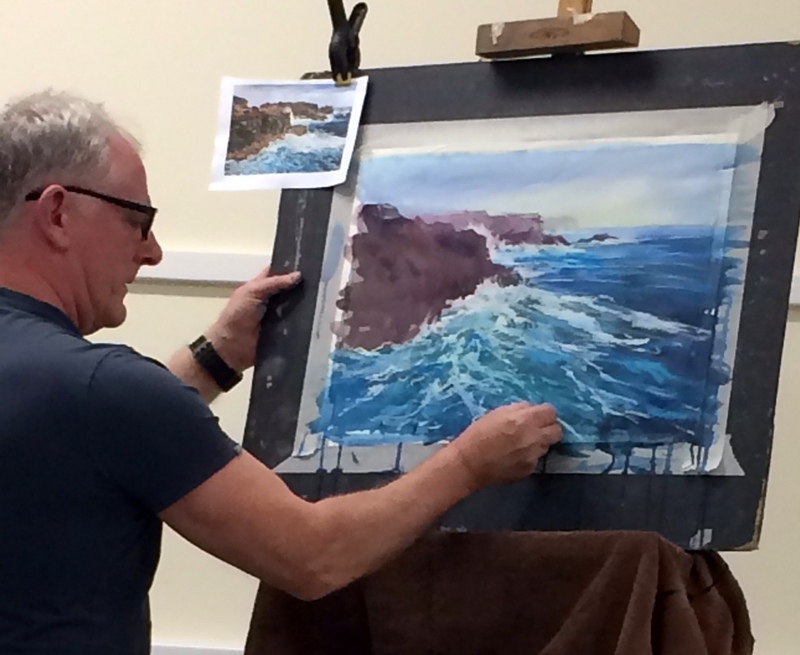 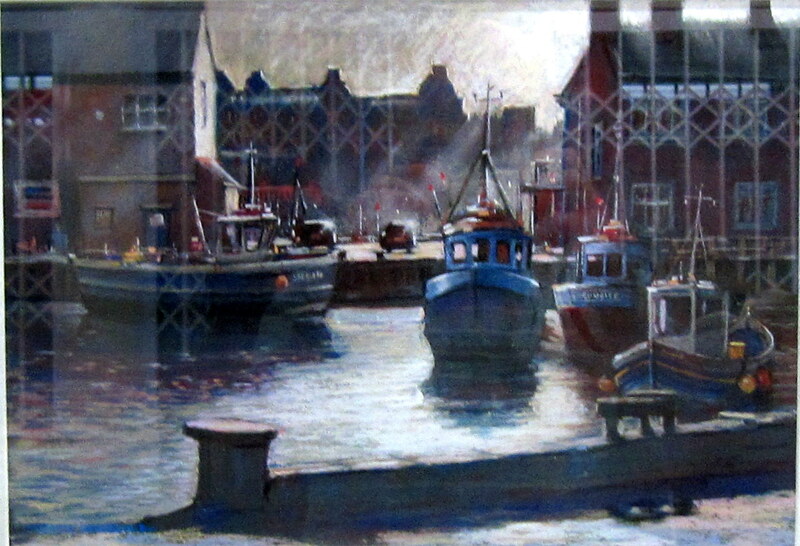 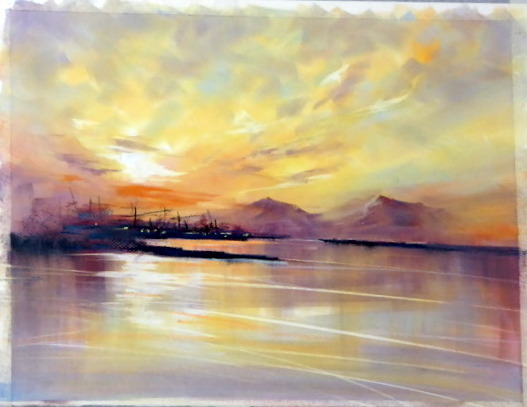 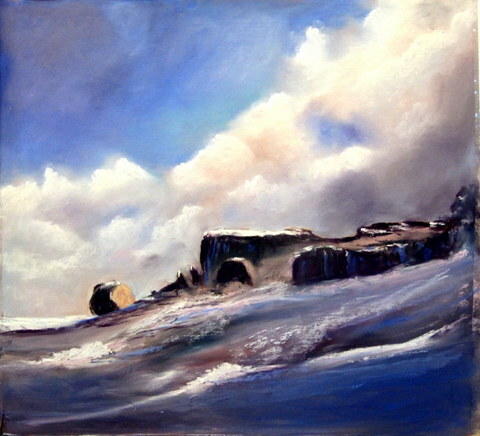 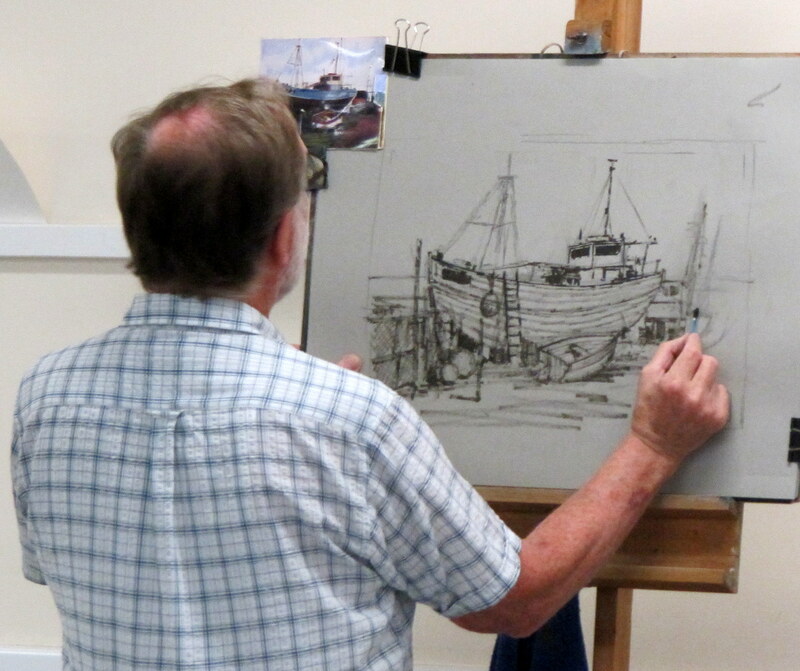 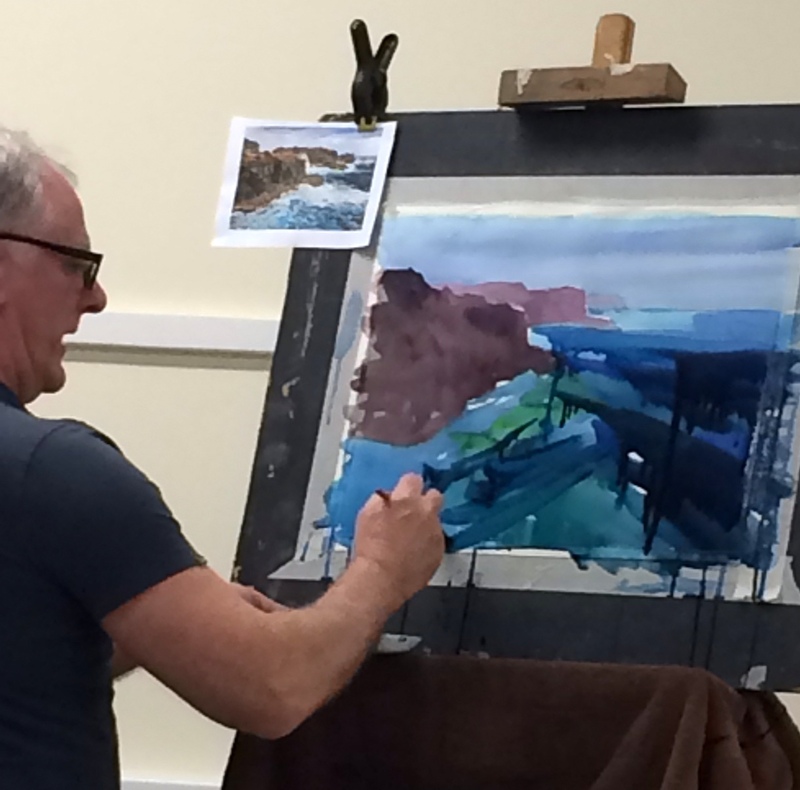 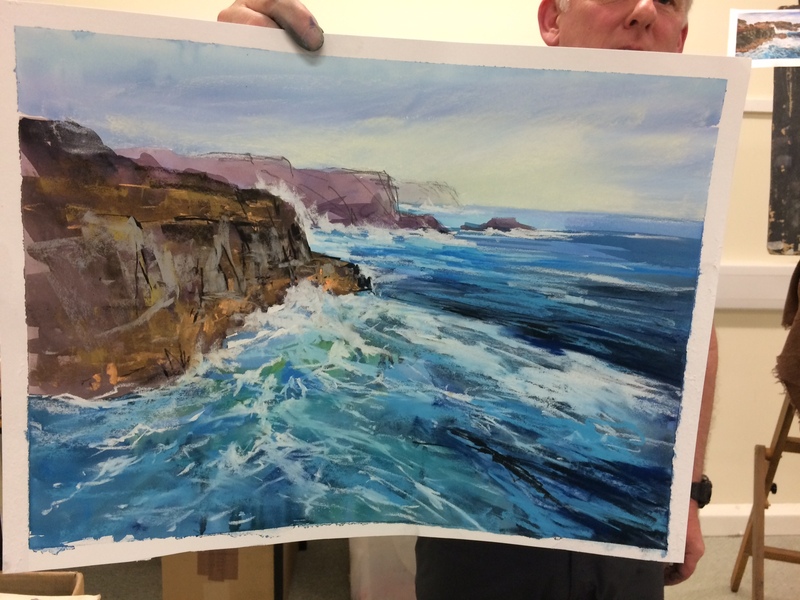 His first demonstration was a sea landscape in pan pastel. 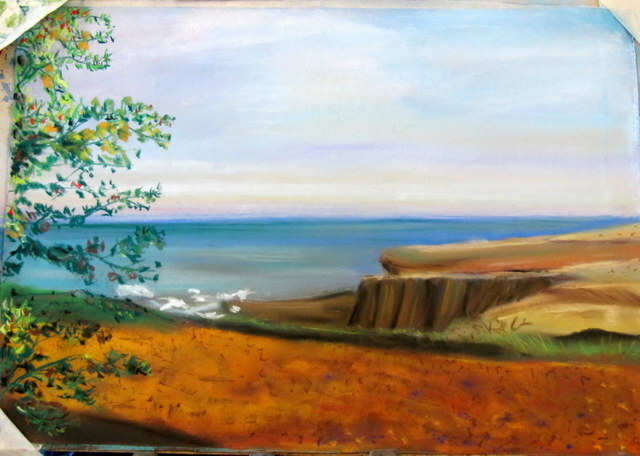 His second painting was of sea and cliffs. 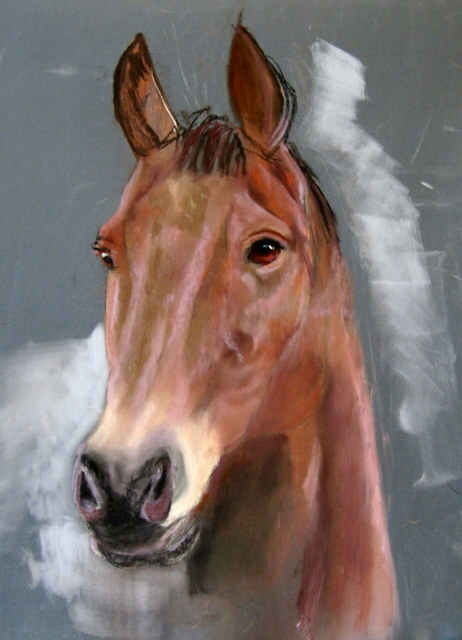 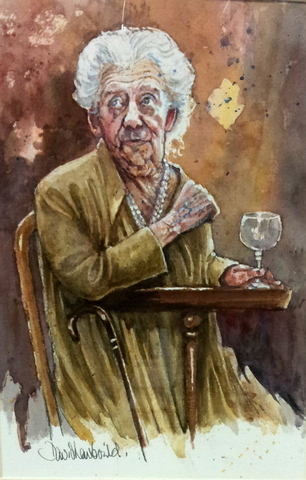 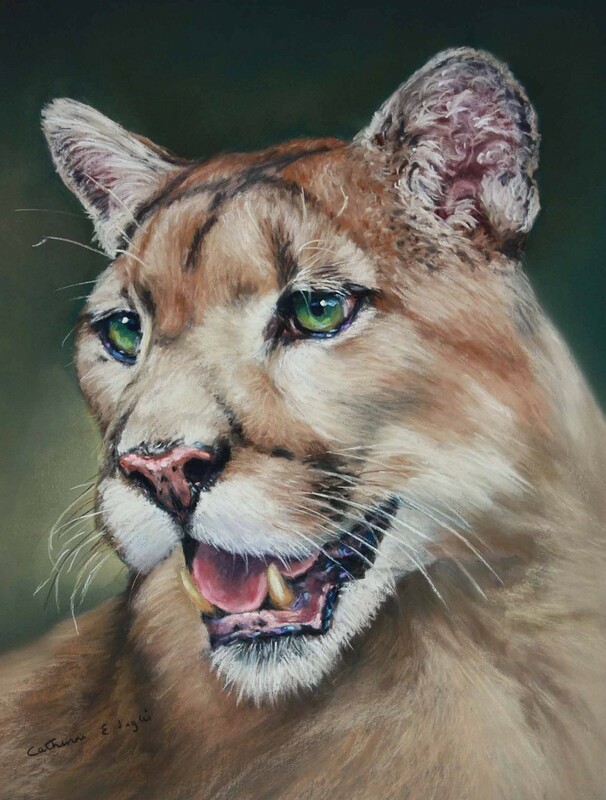 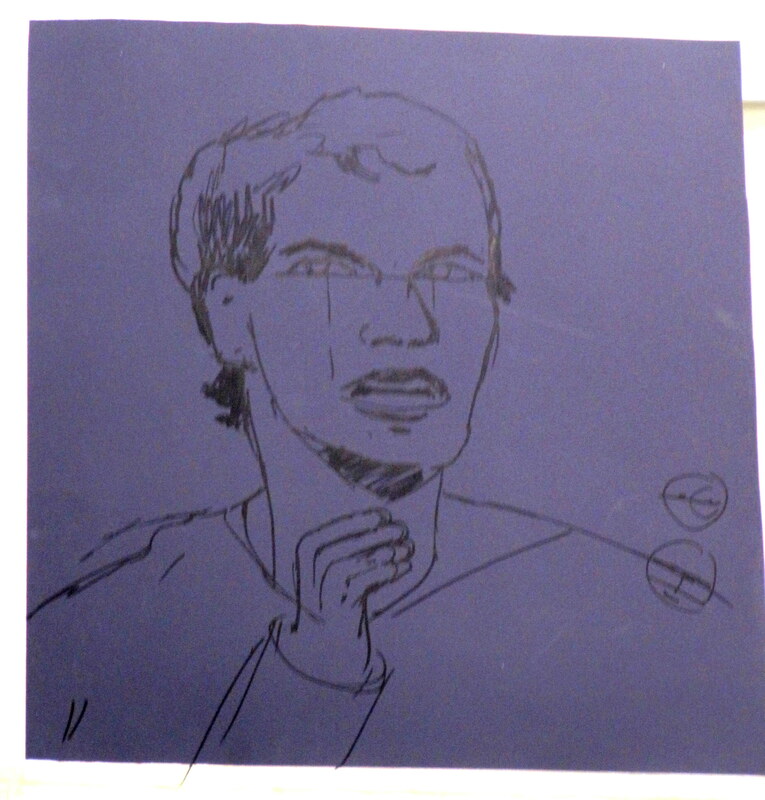 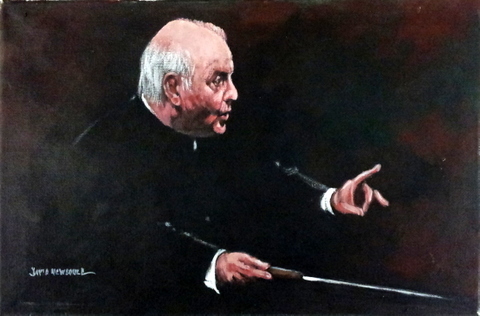 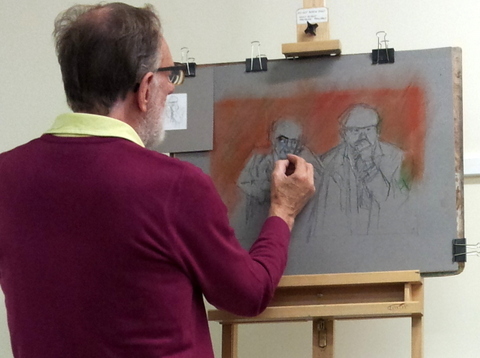 He made an underpainting in ink and finished with pastels. 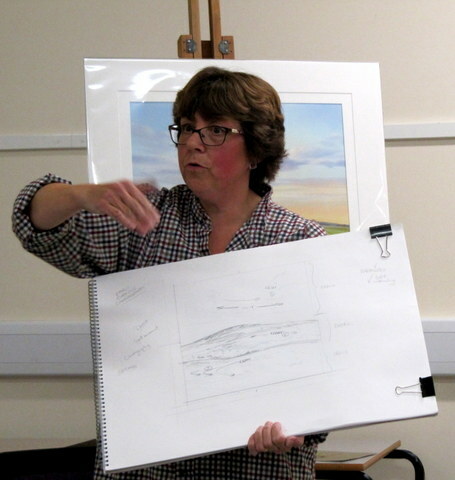 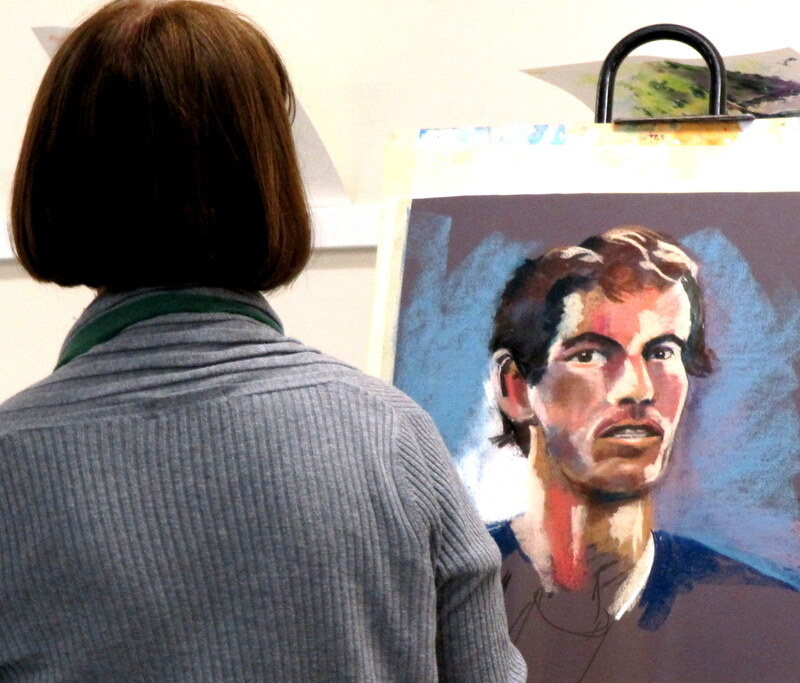 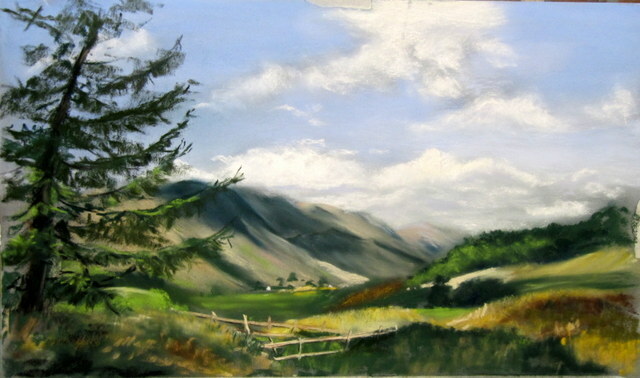 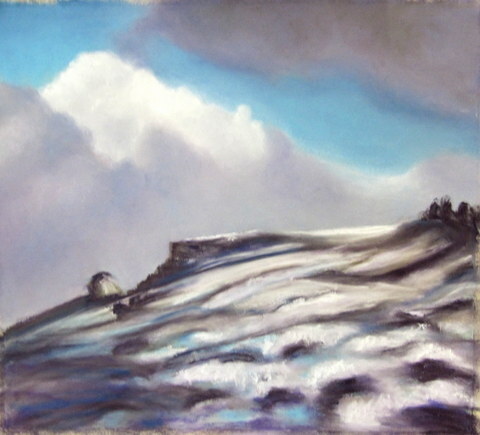 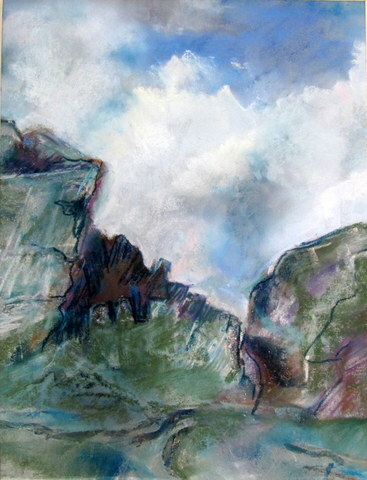 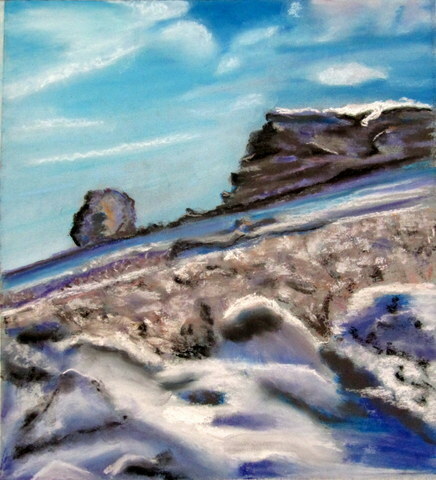 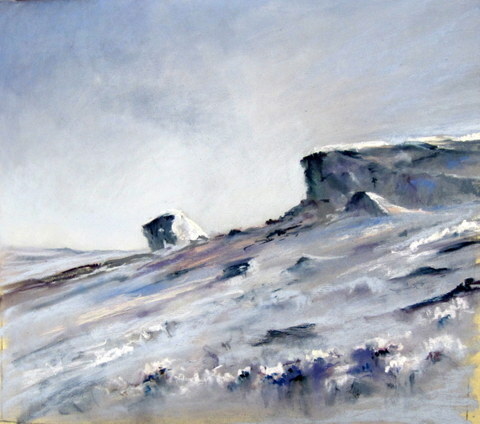 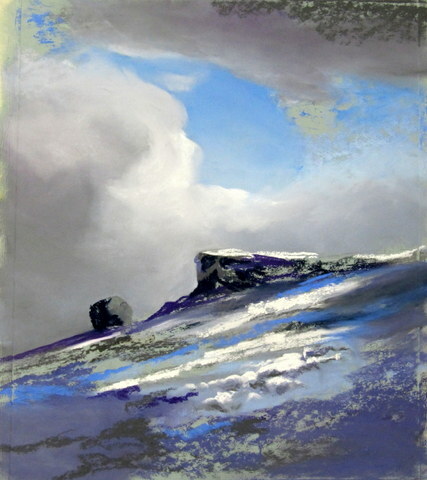 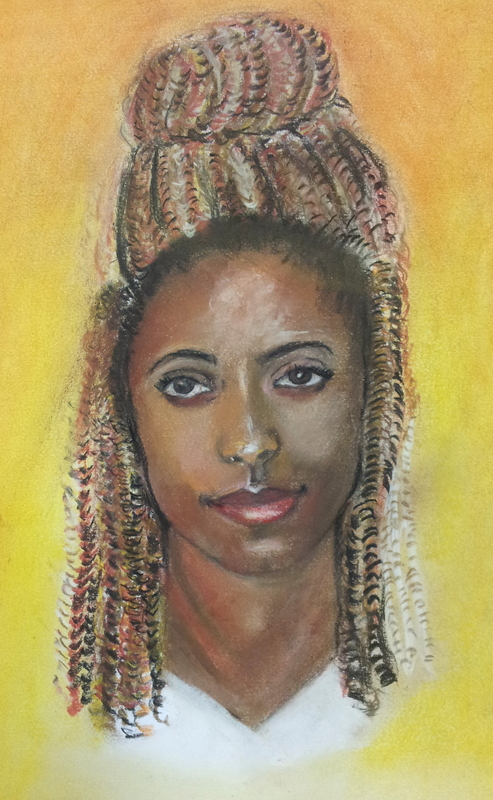 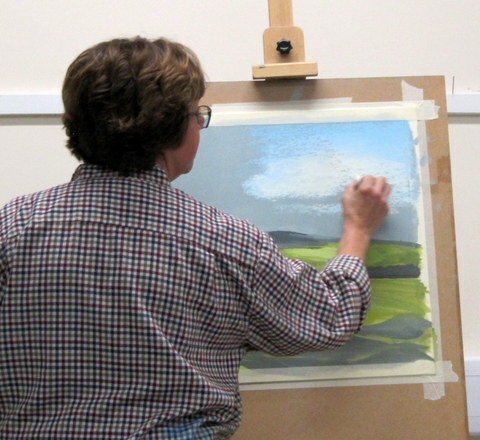 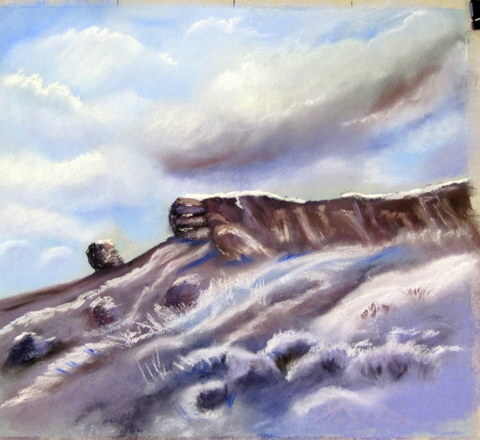 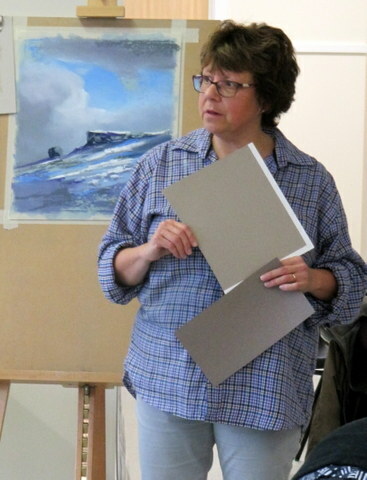 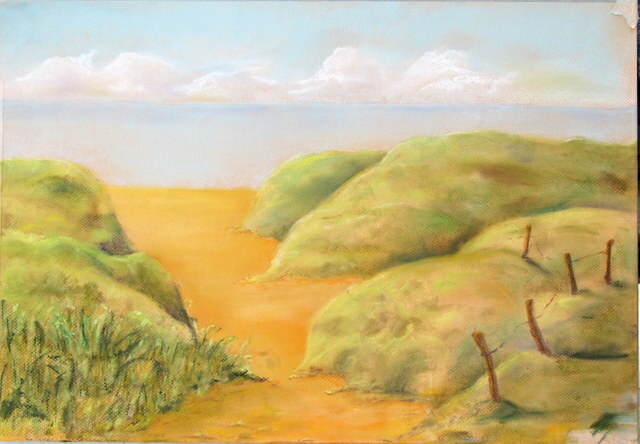 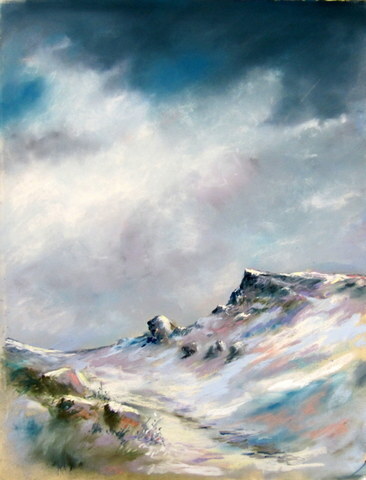 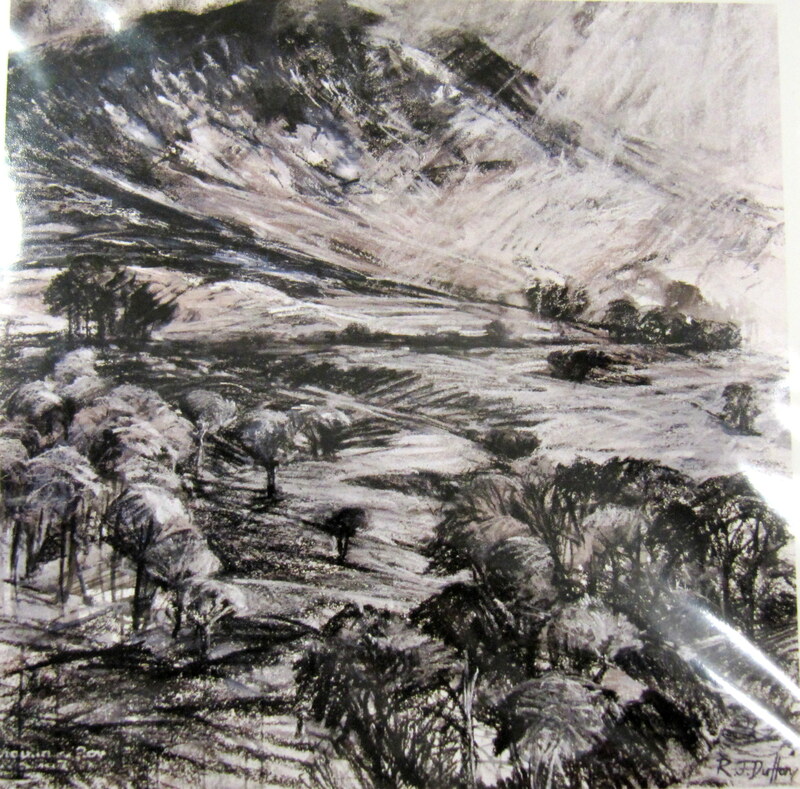 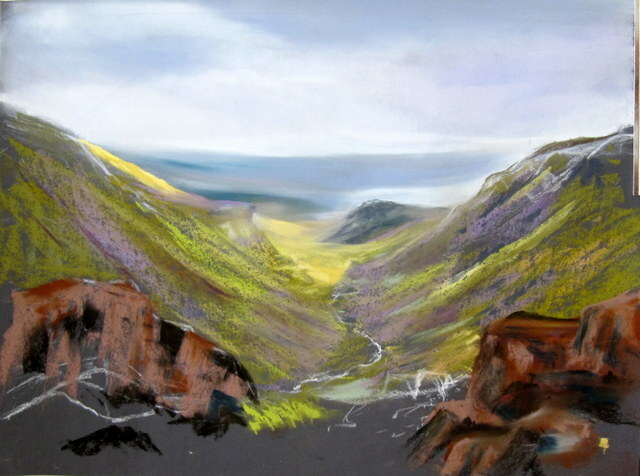 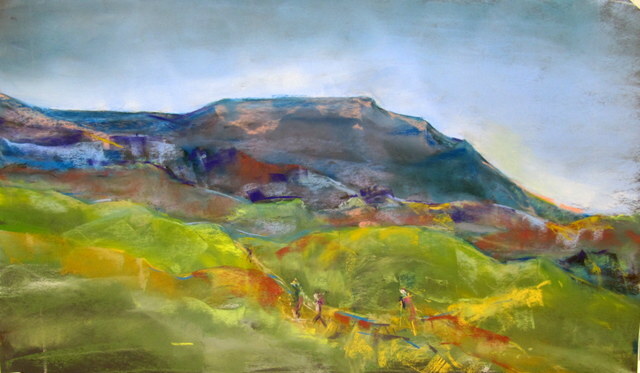 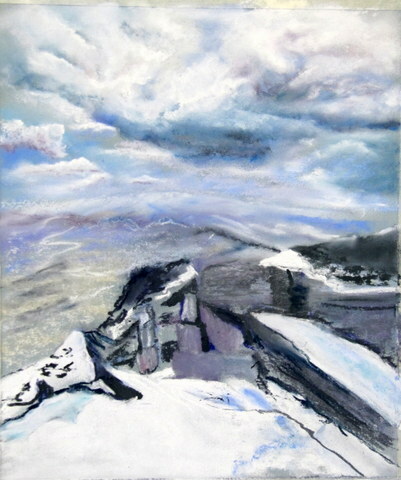 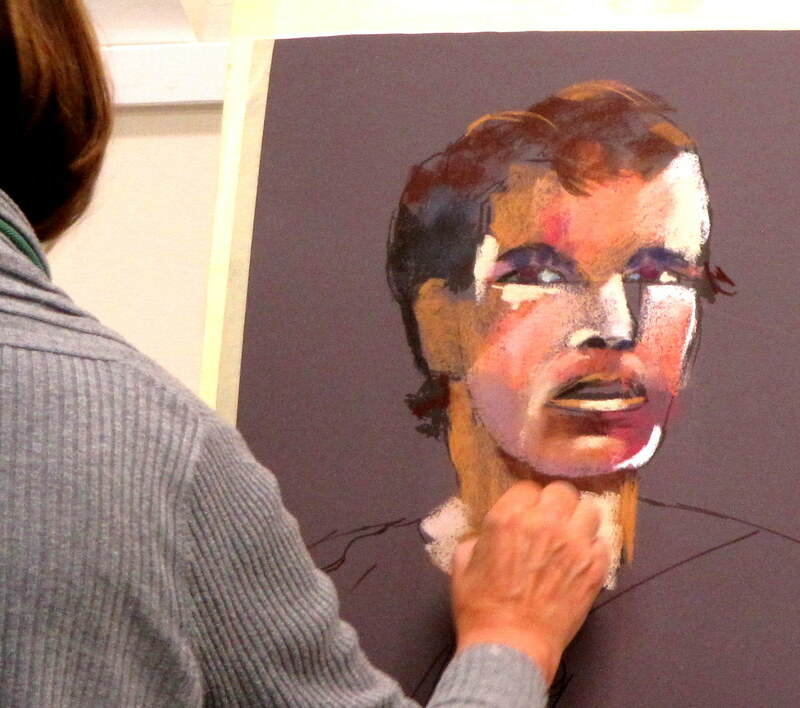 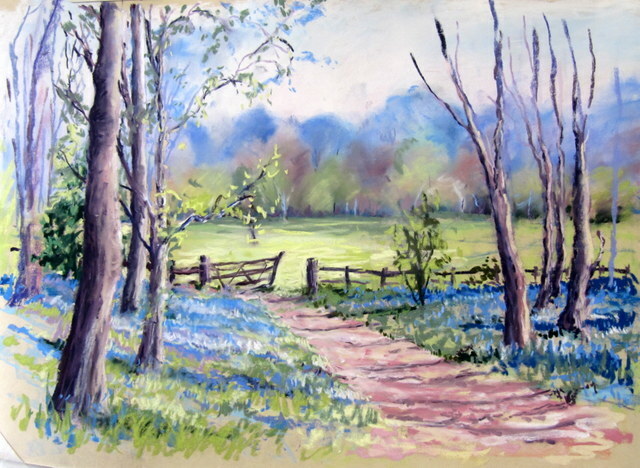 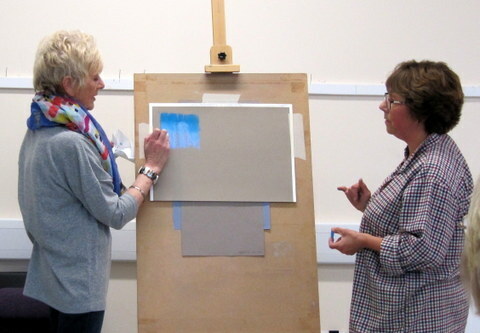 Lucia Smith gave a demonstration of landscape painting in chalk pastel. 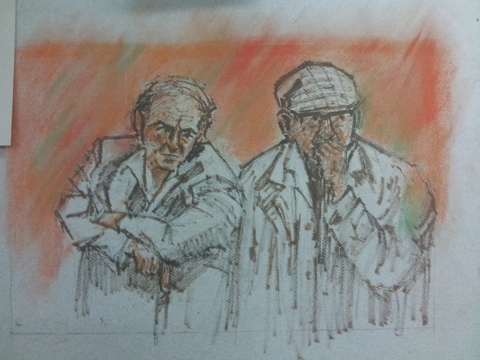 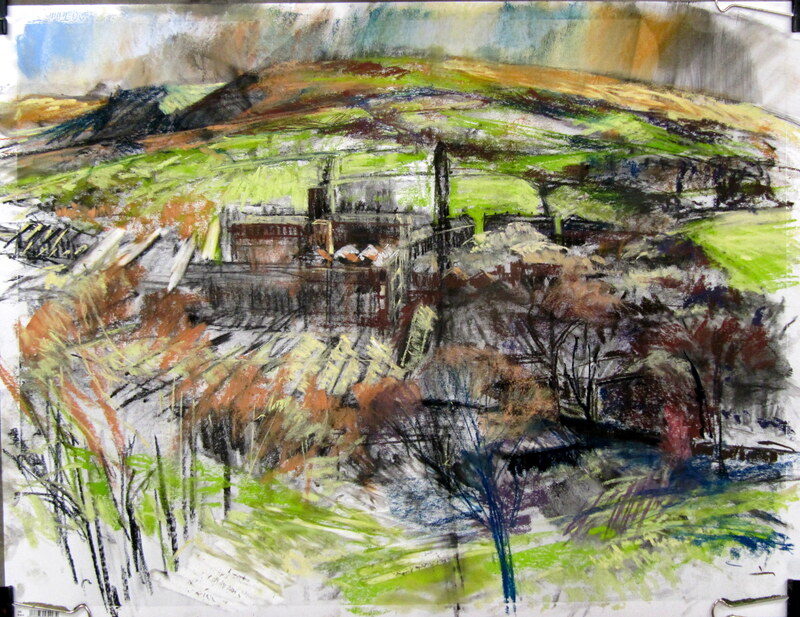 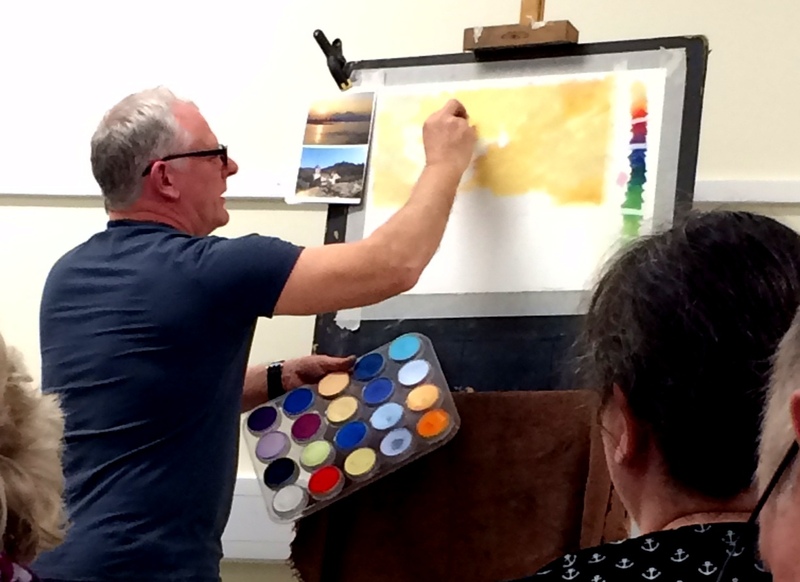 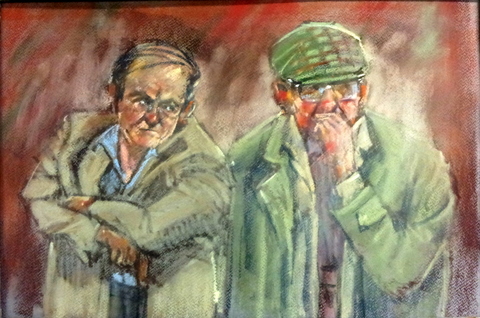 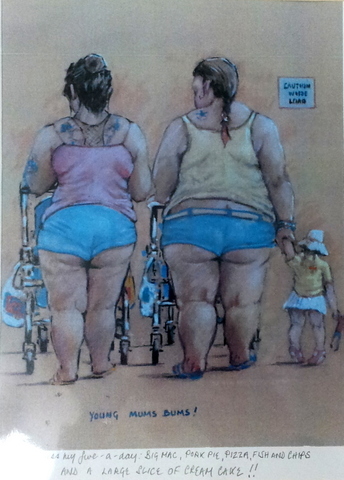 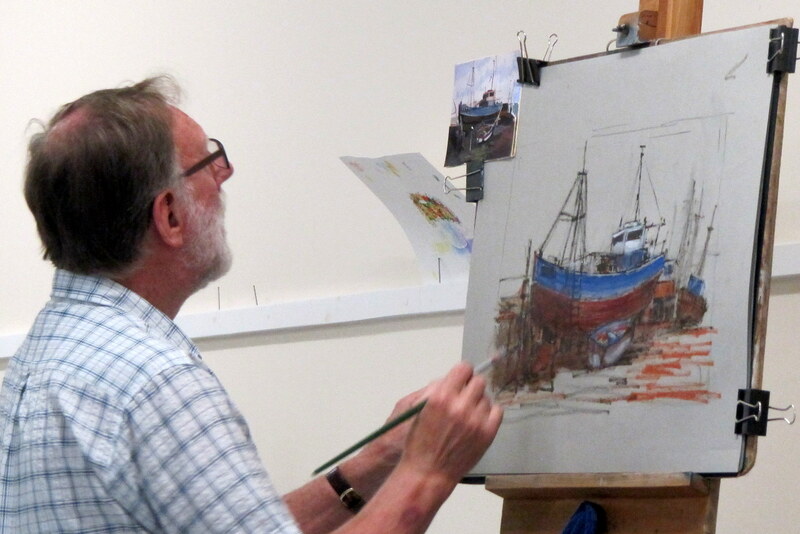 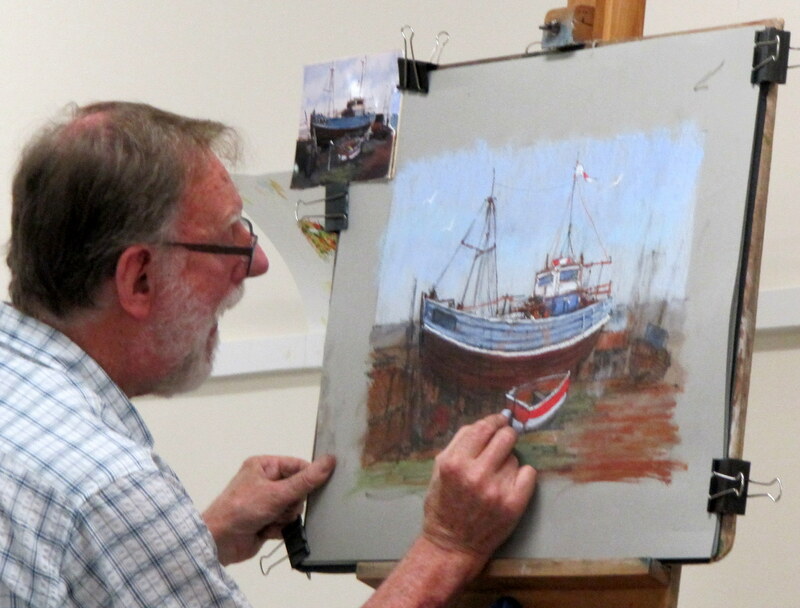 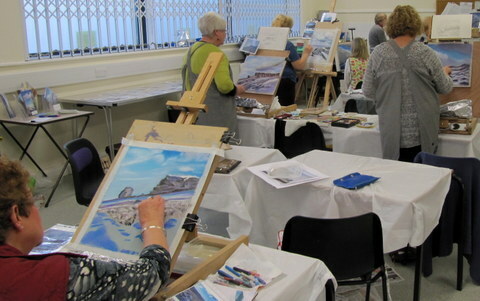 Robert Dutton gave a chalk pastel demonstration to Farsley Art Club. 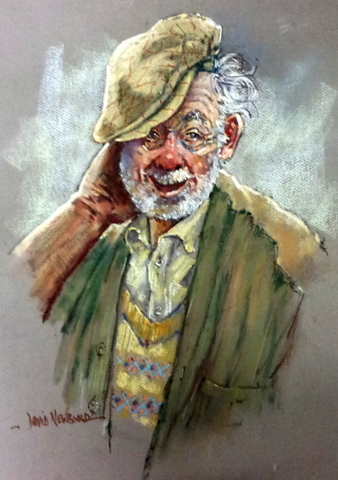 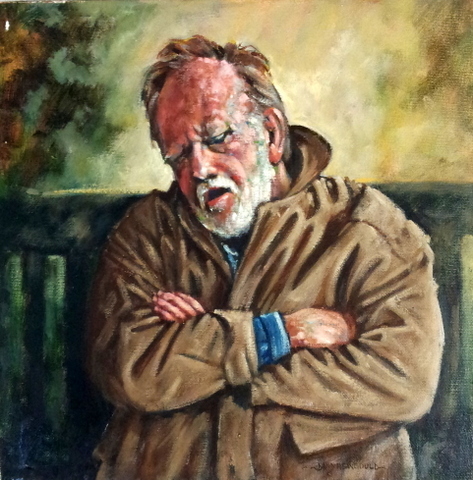 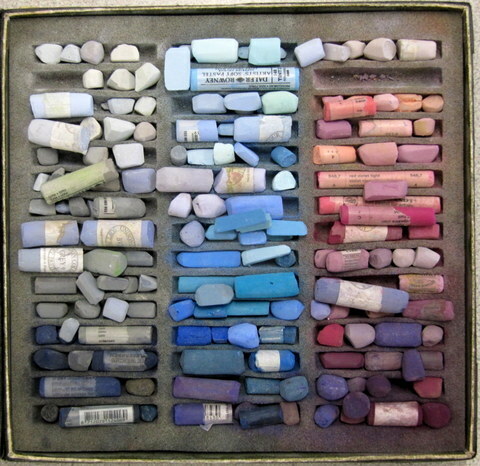 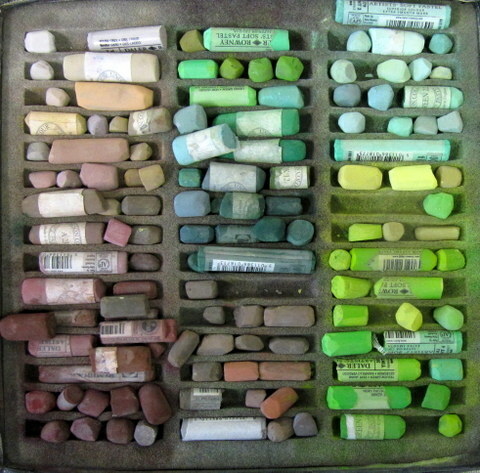 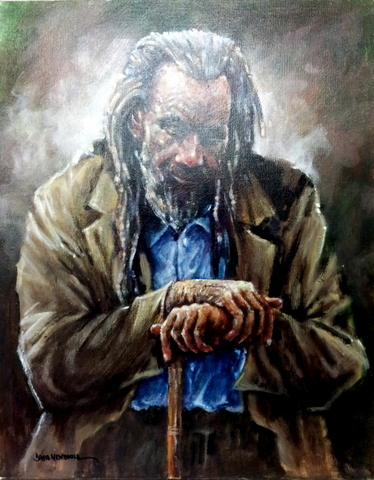 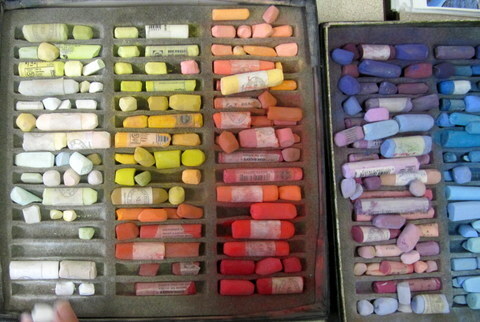 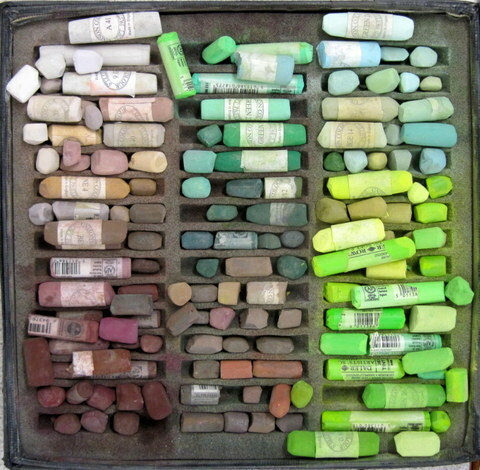 He used Canson Mi-Teintes pastel paper, charcoal and various soft and hard chalk pastels. 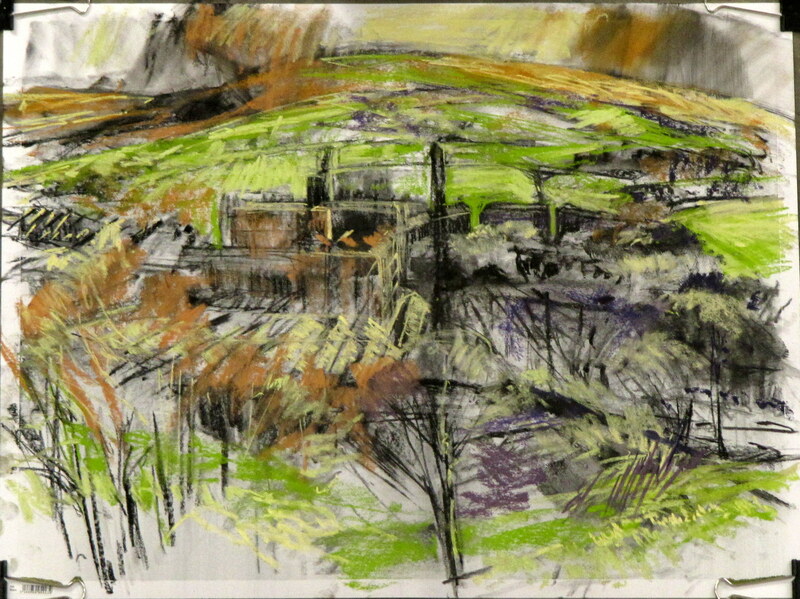 He worked from a photograph of a mill town in a valley. 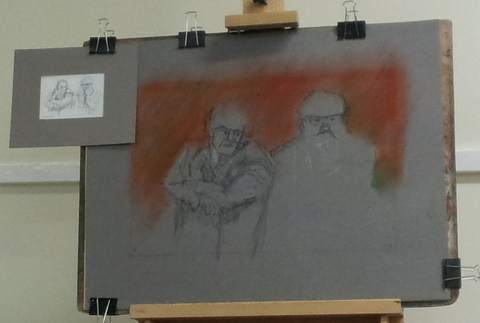 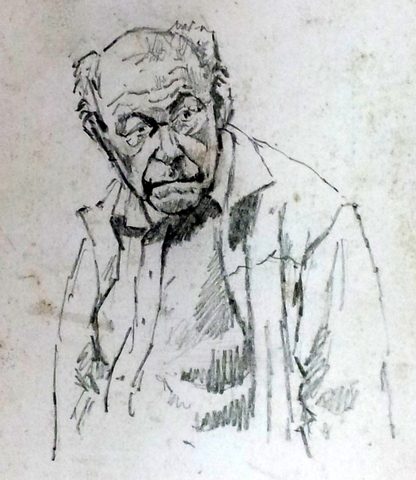 He started by establishing the positions of the elements in the scene using charcoal in loose strokes. 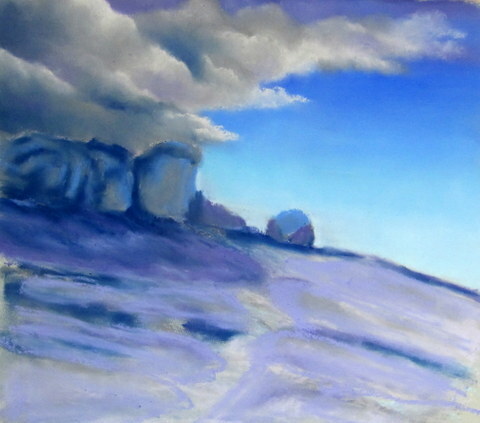 He smudged the charcoal in the sky and town area. 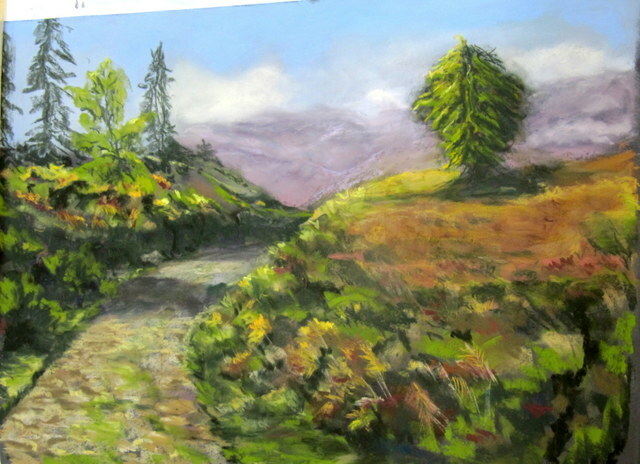 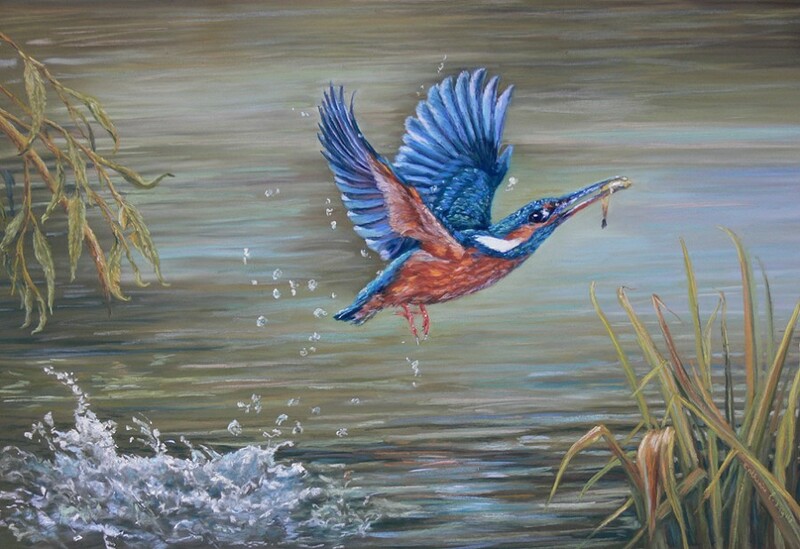 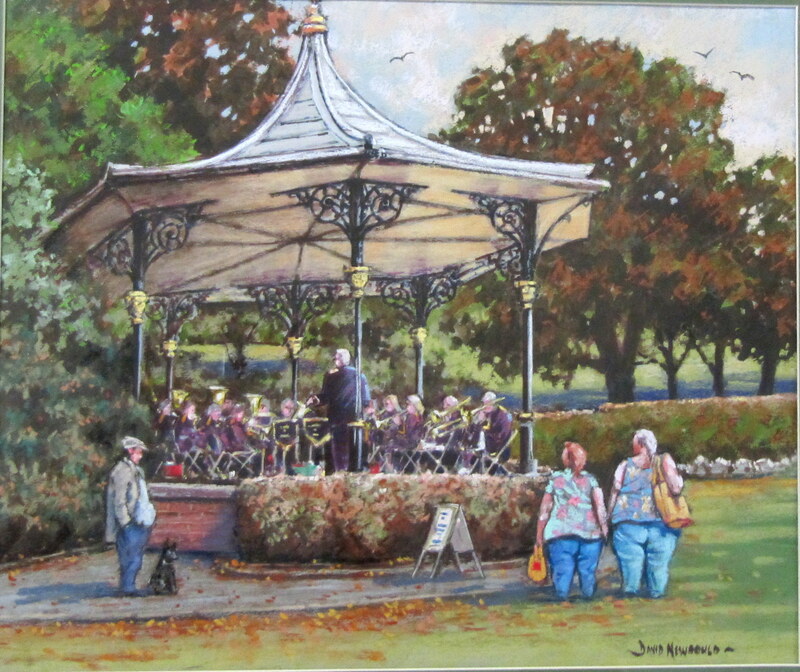 Robert added colour with browns and greens, again in a loose manner. 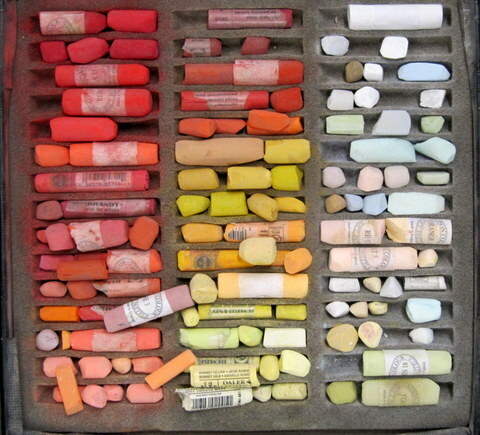 He added details into the buildings with a hard eraser. 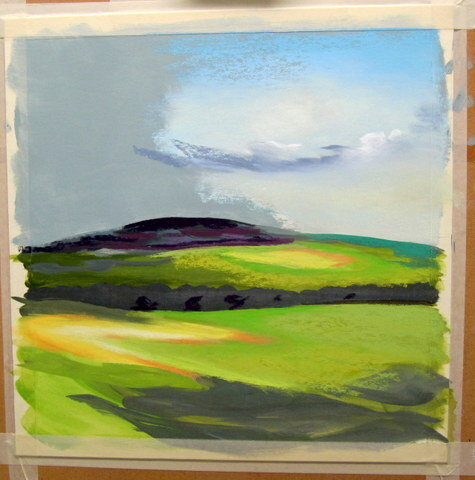 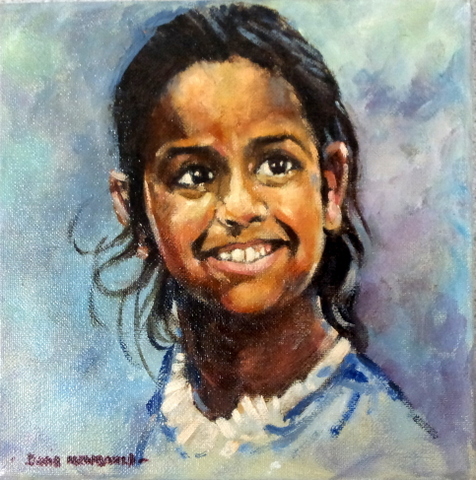 Part completed painting at the end of the demonstration. 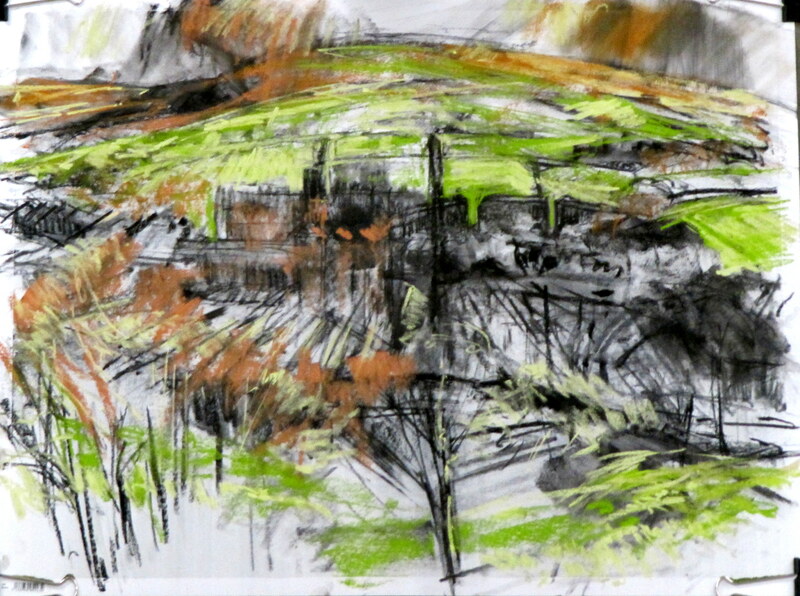 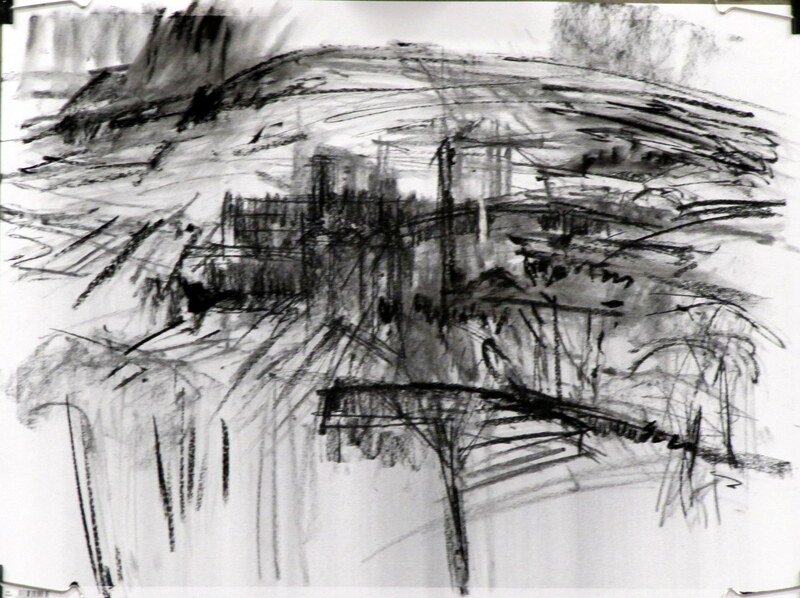 Landscapes need planning to achieve a better balance than the source sketches or photographs. 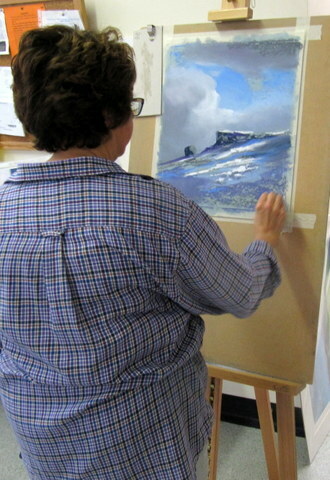 Lucia applying sky colours to card prepared with Colourfix grey primer applied over acrylic underpainting.